If you have an interest in volunteering, please fill out the online form. Most volunteers would be needed from 4:30 – 9:30pm. Vines supports the advancement of programs designed to bring students and alumni together. 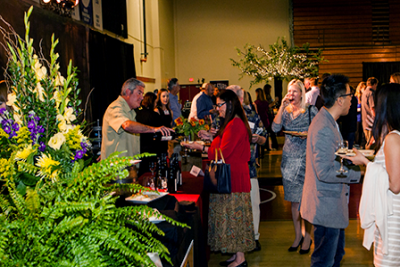 Proceeds from this evening of “wine, brew and bites” benefit Stanislaus State alumni programs, campus projects and student scholarships. "The food and wine pairings added another level to an evening of excellent tasting. I came away with some great food and wine pairing ideas and feel good about giving back to my alma mater! " Donate bottles of wine to the Vines Wine Wall.